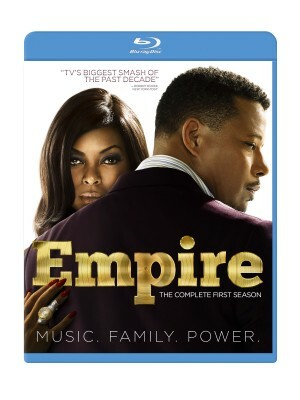 EMPIRE: THE COMPLETE FIRST SEASON. (DVD Artwork). ©20th Century Home Entertainment. The complete first season of the hit Fox TV drama series “Empire” is available on Blu-ray ad DVD, Tuesday Sept. 15. Set within the world of music, glamour, danger and power, “Empire” is about a family dynasty that follows the head of a music empire whose three sons and ex-wife all battle for the throne. Oscar nominee Terrence Howard plays music mogul Lucious Lyon is diagnosed with a potentially fatal disease, he must choose which of his three sons will succeed him at the legendary Empire Entertainment. The game changes when ex-wife Cookie (Oscar nominee Taraji P. Henson) returns from prison where she’s been for almost two decades. Brash and fearless, she sees herself as the sacrificial lamb that built an empire with Lucious and then took the fall for running the drugs that financed Lucious’ early career. As the Lyons slug it out, a battle begins that will either cause the family’s destruction or redeem it. The series is produced by two time Oscar nominee Lee Daniels (“Precious”), Emmy winner Danny Strong (“Game Change”) and Brian Grazer, this much ballyhooed series features a memorable soundtrack from legendary R&B/hip hop producer and composer Timbaland. “Empire” Season 1, features iconic music performance from its all-star cast. Guest stars include Courtney Love, Academy Award winner Jennifer Hudson (“Dreamgirls”), Oscar nominee Gabourey Sidibe (“Precious”), legendary singer Gladys Knight, Oscar winner Cuba Gooding Jr. (“Jerry Maguire”) and others. The Blu-ray and DVD is packed with never before seen material and music performances such as “Drip Drop” and “You’re So Beautiful.” Five complete performances include Jussie Smollett’s rendition of “No Apologies.” Bonus features exclusive to the Blu-ray edition include “Empire: It’s in the Music,” “The Empire of Style” and a special commentary on the pilot episode. The fight against evil continues as the complete second season of “Sleepy Hollow” arrives on Blu-ray and DVD Tuesday, Sept. 15. After Ichabod Crane (Tom Mison) risks his life to rescue Police Lt. Abbie Mills (Nicole Beharie) from Purgatory, the two face even greater danger as sinister forces in Sleepy Hollow gain momentum. With Katrina held captive by the Headless Horseman, and Frank Irving mysteriously back form the dead, Ichabod and Abbie must rely on instinct to now who to trust in their question to permanently vanquish Moloch, and stop the Apocalypse. Help arrives from an unexpected source, and the season ends with a shocking climax. Special features on the four-disc Blu-ray include “Mysteries & Mythology: The Secrets of Season Two,” “Monsters & Mayhem: The Creatures of Season Two,” “Hollow History,” “A Salute to Sleepyheads,” deleted scenes, a gag reel and commentaries on selected episodes. 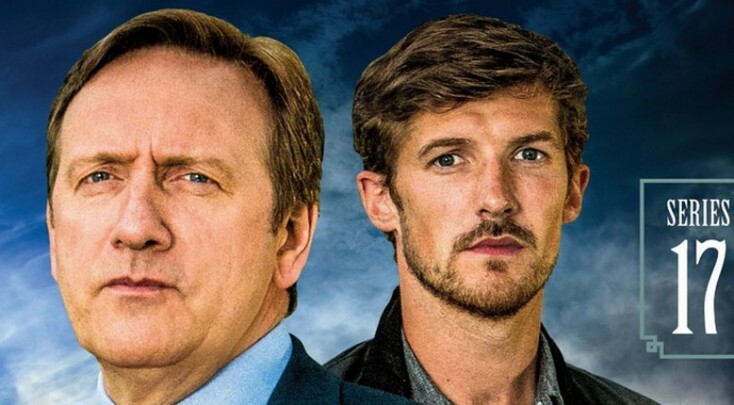 Also debuting on DVD and Blu-ray is the 17th series (season) of Acorn’s bestselling series, “Midsomer Murders,” The two-disc box set features four all-new mysteries starring Neil Dudgeon as the capable DCI John Barnaby and Gwilym Lee as his partner, DS Charlie Nelson. Guest stars this series include Amanda Burton, Claire Bloom, Andrew Lee Potts, Claudie Blakley and Clarke Peters. This collection includes bonus features about the actors, the magic tricks in an episode called “Murder by Magic” and behind-the-scenes material. “Midsomer Murders” has been one of the most popular UK series for nearly two decades, and it’ popularity has crossed the pond. Series 1-17 of the detective series are available to watch anytime at www.Acorn.TV and on many devices. From Disneynature, comes “Monkey Kingdom,” a spectacular tale set among ancient ruins in the storied jungles of South Asia. The Blu-ray combo, available Tuesday, Sept. 15, includes the DVD and Digital HD versions as well. “Monkey Kingdom” tells the story of Maya, a clever and resourceful monkey who finds her world changed when she welcomes her son, Kip, into her colorful extended family. As Maya strives to keep Kip safe through unexpected and sometimes perilous adventures, amazing live-action footage shot on location captures all the magic and surprises of their magnificent world. . She and her family will make you laugh and warm your heart as she realizes her dreams for her son’s future. Narrated by comedian Tina Fey (“30 Rock,” “Saturday Night Live”), “Monkey Kingdom” also is available on Disney Movies Anywhere (DMA). Disneynature will donate a portion of first-week sales to Conservation International to help protect endangered species in their natural habitats. Everyone’s favorite “Star Wars” heroes are back with “Lego Star Wars: The New Yoda Chronicles,” available Tuesday, Sept. 15 on DVD. The animated action adventure includes four complete episodes (plus a bonus alternate ending) that unleash the lighter side of the Force. After headstrong Luke nearly delivers the good guys into Palpatine’s clutches, Master Yoda and the ghost of Obi-Wan Kenobi unearth the Holocrons—the last remnants of the secrets of the Jedi—to further Luke’s training. But Darth Vader also seeks the Holocrons, and he’ll stop at nothing to get to them first. Meanwhile, courageous superclone Jek-14, a Force-sensitive clone, comes out of retirement to help bolster the Rebels. The voice cast includes Eric Bauza (“The Spongebob Movie”) as Luke Skywalker and Porkins Pilot; Michael Daingerfield (“Ace Ventura: Pet Detective”) as Han Solo, Admiral Ozzel and Biggs Pilot; Anthony Daniels (“Star Wars” franchise) as C-3PO; Trevor Devall (“Kid vs. Kat”) as Emperor Palpatine, Admiral Piett and Admiral Ackbar. The episodes are: Escape From The Jedi Temple, Race For The Holocrons, Raid on Coruscant and Clash of the Skywalkers. This collection includes an alternate ending on Clash of the Skywalkers. The suspense escalates to a fever pitch in the fourth season of “Homeland,” available now on Blu-ray and DVD. In her new role as CIA station chief, Carrie (Emmy winner Claire Danes) convinces Saul (Emmy nominee Mandy Patinkin) and Queen to help her hunt down one of the world’s most dangerous terrorists. But when Carrie recruits a young Pakistani as an asset, the lines between right and wrong blur and the operation spins out of control. Facing unclear loyalties at every turn, Carrie must take extreme measures and risk everything to protect her country. Special features include deleted scenes, character profiles of new characters and script-to-screen descriptions on select episodes.